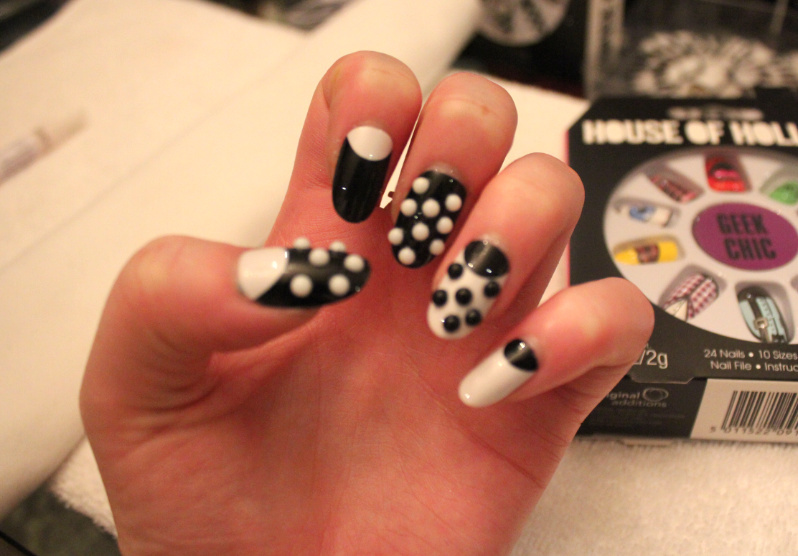 I had the nails applied on Saturday night and skip forward to now (Tuesday night) they have lasted me through another day rushing around at LFW, rummaging through my bag, taking photos, re-applying makeup and manically tweeting and instagramming plus two full days at the office constantly typing and one gym session - without a single nail 'pinging' off or hanging off (hate it when you have a wobbly false nail!) - usually I find I have to carry nail glue around with me whilst wearing falsies as they're forever falling off, so not only am I impressed with the look I'm super impressed by the longevity. 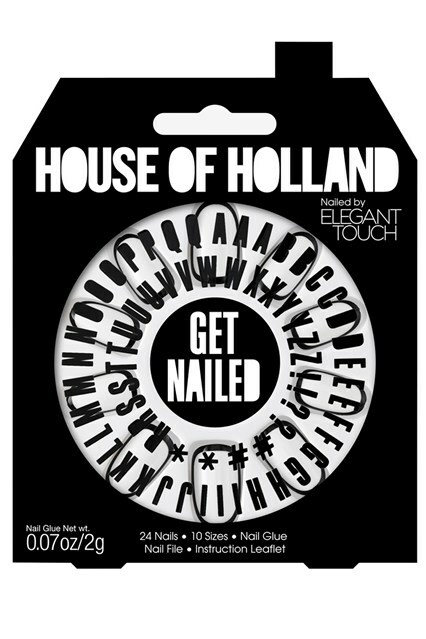 Their really is something to suit everyone in the range and I am particularly keen to get my hands on the 'Get Nailed' set. 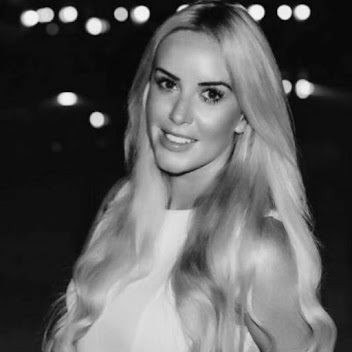 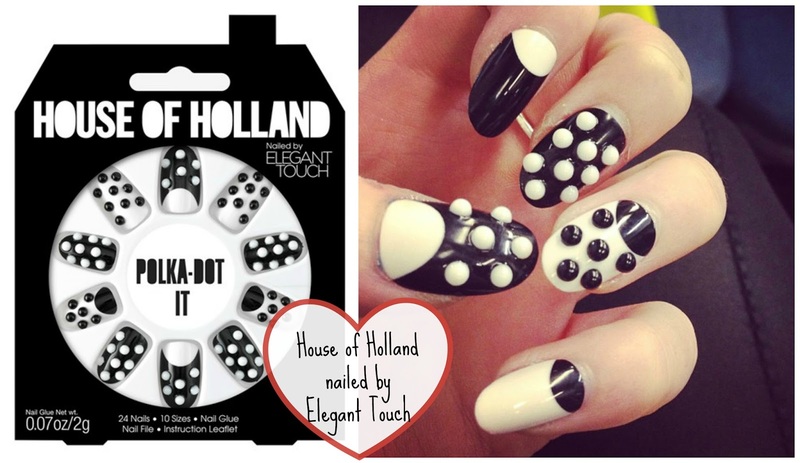 "I'm really excited about branching out into the world of nails with this collaboration with Elegant Touch. I'm super happy with the range and think that it brings a touch of House of Holland to everyone's fingertips - literally," said Holland. "The designs are bold, playful and create an individual look at a great attainable price." 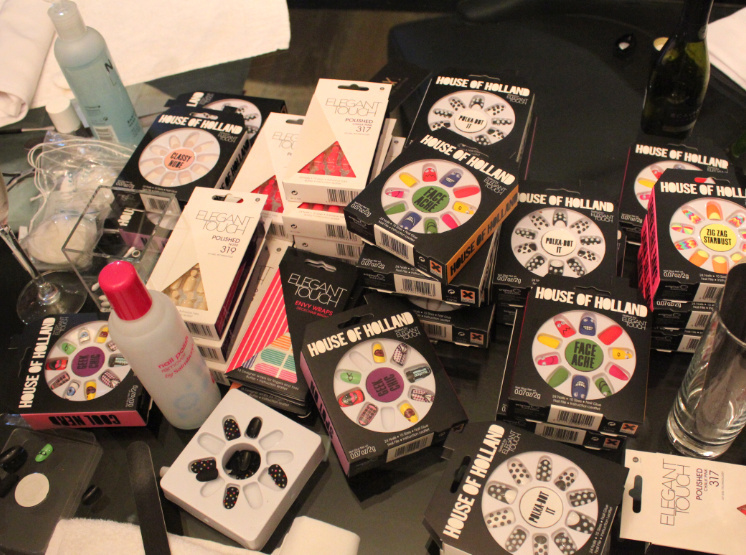 What do you guys think of the range? 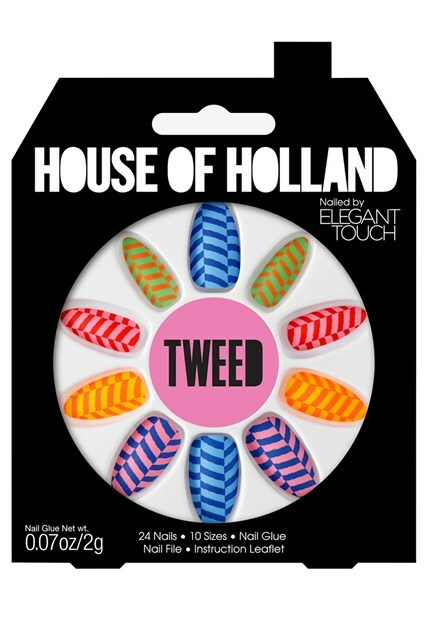 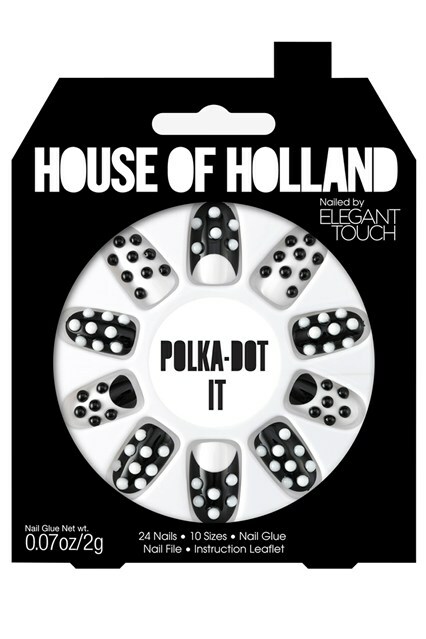 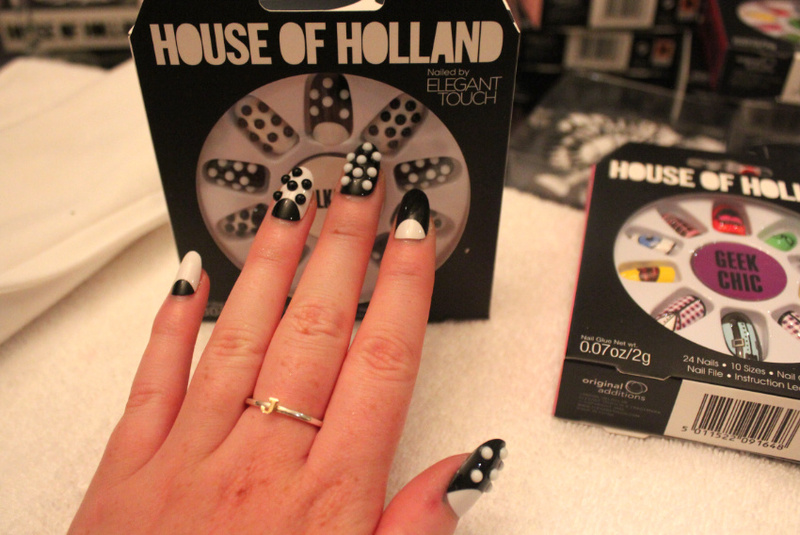 The House of Holland Nailed by Elegant Touch nails are available to buy now from Boots for £8.99.